LogicPort is a pretty good Logic Analyzer to debug the digital system. 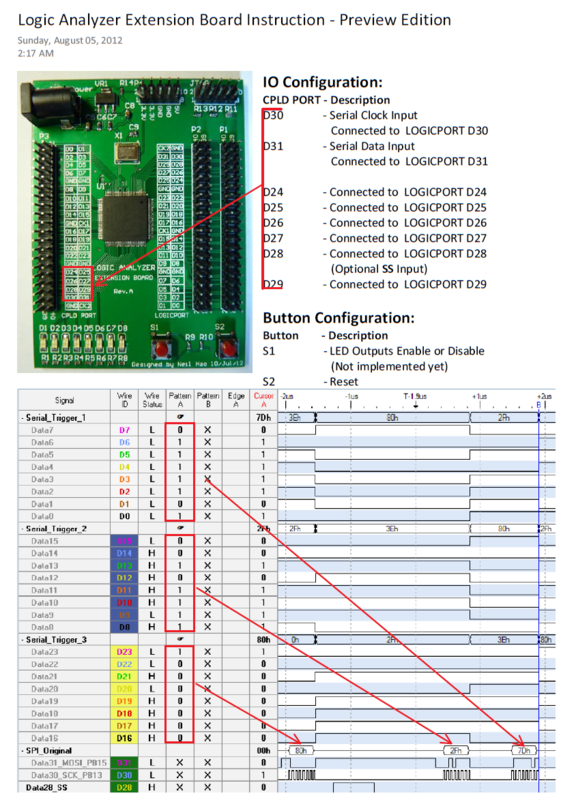 The only problem I encountered is that it did not provide the Serial Pattern Trigger feature, thus it is actually hard to deal with the complex SPI, I2C bus. This LA could be used to debug the complex serial bus if it has the serial trigger. 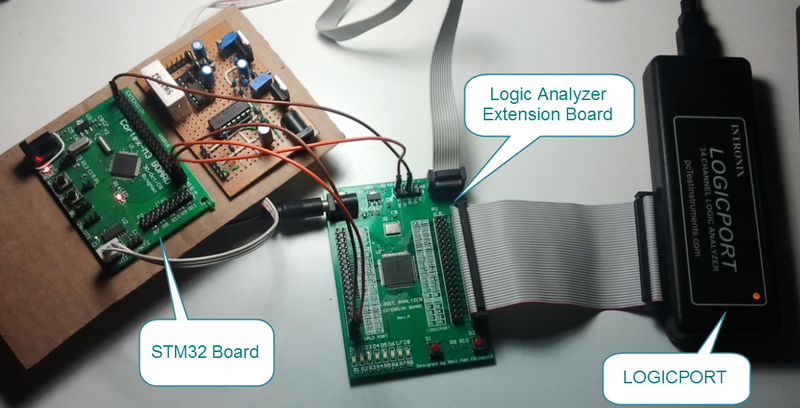 As a result, I designed a very simple CPLD board for this Logic Analyzer. The CPLD just mainly used D flip-flops as shift register to convert the serial data to the trigger-able parallel data. Finally, this idea can add serial trigger to any Logic Analyzer which only provided the parallel trigger feature. This design provided 24 bit Serial Pattern Trigger feature by converting serial data to parallel data using D flip-flops, the trigger-able parallel outputs will be generated byte by byte.